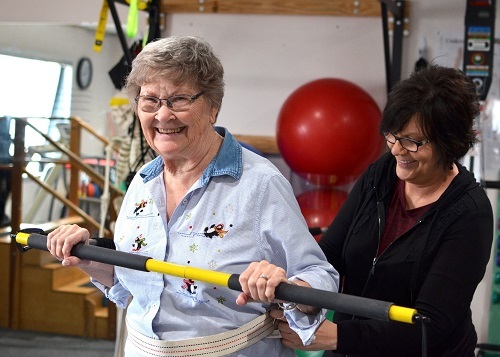 Southeast Colorado Hospital District's Rehabilitation Department provides comprehensive physical, occupational, speech and swallowing therapy at inpatient, swing, outpatient, and home health settings. Our mission is to educate our community in the protection of their health and well-being through physical, mental and social support by establishing safe and proper functional movement, lifestyle modification and enhancement, and community integration. We aim to restrict and reduce pain, strengthen weaknesses, improve safety and independence, and promote desirable lifestyle via exercise and healthy habits. Office Hours Monday through Friday 8am to 5 pm.